Gertrude and Toby Are Back!!! 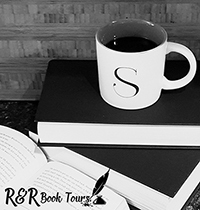 Gertrude and Toby are back and have two new adventures. First, they save the gingerbread man then they meet a wolf. Farmer Sam and his son Ryan are taking their prize pig to the county fair. Gertrude and Toby decide they have plenty of time to sneak off the farm for an extra adventure. But Gertrude and Toby soon discover that a giant has captured their friend, the Gingerbread Man! Gertrude and Toby come up with a plan to save him. But the giant, who is sleeping nearby, wakes up during their rescue! Gertrude and Toby are watching Farmer Sam and his son load a prize pig for the county fair when Gertrude gets an idea. Gertrude wants to go on an adventure even though it is not Friday, their usual adventure days. Gertrude and Toby follow Farmer Sam when they are distracted by a bit of color and meet a flying carpet. Then they hear two children in trouble from a witch. After saving them they also hear the Gingerbread Man is in a cage in a giant’s house. This is a wild, fairytale inspired adventure. Gertrude and Toby wanted an adventure and they sure got one. They save some children and find them a home. Gertrude save the Gingerbread Man by the hairs on her tail. And Toby is there to point out the obvious. This is a wonderful children’s story, lots of adventure, and some beautiful artwork. This book will appeal to both kids and adults alike. Gertrude the goat and Toby the tortoise are going fishing at Trout Lake for their Friday adventure. While at the lake, they see a little boy being dragged off by a hungry wolf! They follow the wolf and rescue the little boy, but the wolf doesn’t give up. He goes after them, determined to get his lunch back! It’s Friday once again and Gertrude and Toby plan on going fishing while Farmer Sam is in town. They decide to have a contest to see if worms or beetles will catch more fish. They happen to come across a boy yelling about a wolf. They decide to just fish when sure enough the boy is being drug by a wolf into a cave. Gertrude and Toby go help him but end up leading him to the pigs house. 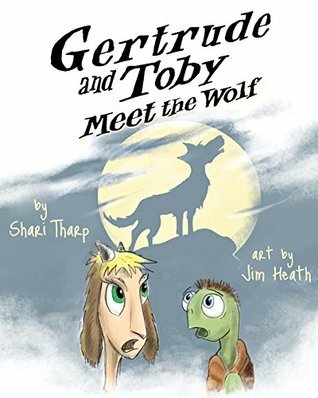 I love the combination of traditional stories for the adventures that Gertrude and Toby find themselves in. The little boy who cried wolf is surprised to find himself in the wolf’s cave about to be cooked. But thankfully our heroes are there to help him and the pigs. This is a wonderful children’s story, lots of adventure, and some beautiful artwork. This book will appeal to both kids and adults alike. 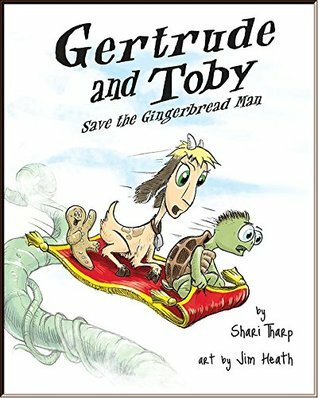 I received both Gertrude and Toby Save the Gingerbread Man and Gertrude and Toby Meet the Wolf from eBook for Review for free. This has in no way influenced my opinion of this book.